Want to spruce up your desk space for spring? 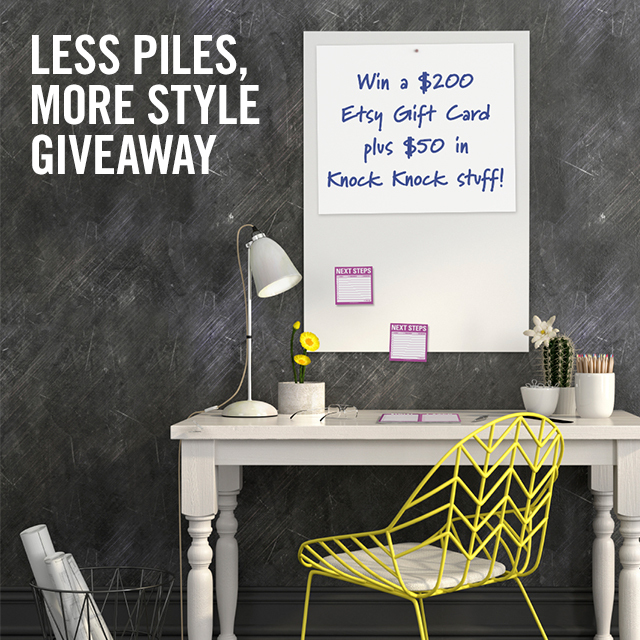 Battle desktop clutter and chaos with our Less Piles, More Style giveaway prizes. 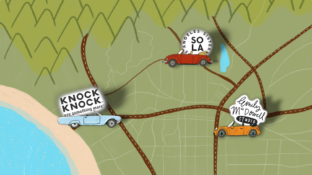 You could win a $200 Etsy gift card to splurge on one-of-a-kind office and desk storage finds, plus $50 in Knock Knock organizational items.